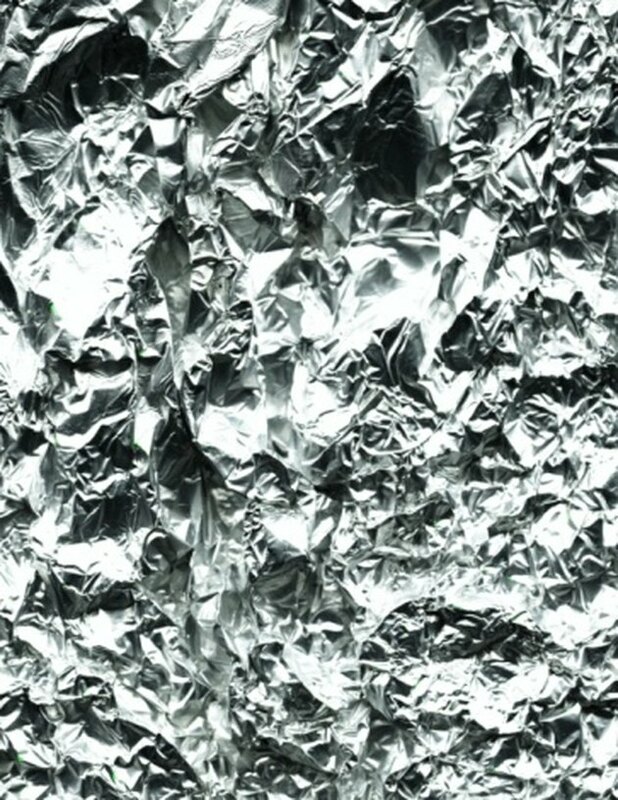 Aluminum foil is made from aluminum alloy. It comes in pieces of various sizes and is less than .2 mm thick. Aluminum foil is most commonly found in small rolls and sold in grocery stores. These rolls are used to package foods. Aluminum foil is sold in only the aluminum tint but it can be painted to change the color for art projects or other household designs. Painting aluminum foil is similar to painting any other type of metal. Aluminum foil can be painted. Lay a drop cloth or other type of tarp on a flat surface and set the aluminum foil on top. Wipe down the aluminum foil with a clean rag. Remove any grease or other debris from the surface. Dampen the rag with water and scrub out the tougher spots, if necessary. Hold a can of etching primer at least six inches from the surface of the aluminum foil. Remove the cap from the primer and line up the can at any corner of the aluminum foil. Spray the primer intermittently and move the can back and forth over the foil. Do not stay in one spot too long. Continue over the entire piece of aluminum foil until it is completely covered in the primer. Wait at least three hours for the primer to properly dry before applying the paint. Spray acrylic latex spray-paint over the aluminum foil. Move back and forth, spraying intermittently until the paint has completely covered the primer. Wait two hours for the paint to dry. Apply a second coat, if necessary.